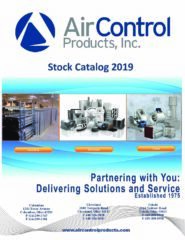 Media Room | Air Control Products, Inc. Welcome to our Media Room! We are always committed to bringing industry resources to our customers to help them understand the products and technology that is coming out. We are going to be using our media room for just that. This will allow us to add product videos, trends, statistics and industry news to your fingertips. Just in case you missed it, we are making our monthly newsletter available online. Let is un know if you want it delivered right to your inbox each month! Don't know where to turn for leading industry news and updates? Look no further, we will be updating our blog with information about upcoming products and more. Our manufacturers release high quality videos that demo their product perfectly. We will highlight and share these videos for your in our new video library!